Eliminate excess power cords and free up more room in your tool box with these space-saving extension cords & power accessories from Plug-It! The Plug-It system from Carol offers a selection of extension cords PLUS a variety of useful and compact add-on accessories making the Plug-It system a great addition to any tool kit. 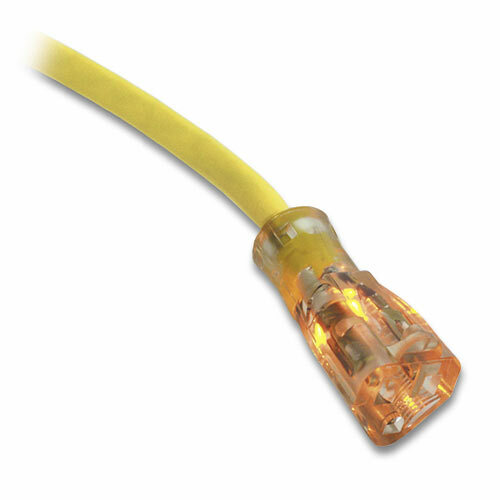 25-foot, three-pronged grounded, super capacity 14-3 gauge extension cord with light up connector when power is running through the cord. Description: 50-foot, three-pronged grounded, super capacity 14-3 gauge extension cord with light up connector when power is running through the cord. Description: The three-pronged grounded, super capacity Plug-It 3-Outlet Power-Center turns any single-outlet extension cord into three convenient outlets. 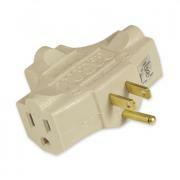 Plug into any 3-conductor grounded power source when extra outlets are needed.